Live, Virtual and Constructive (LVC) training merges advantages of realistic live training with flexible virtual training into one coherent environment. 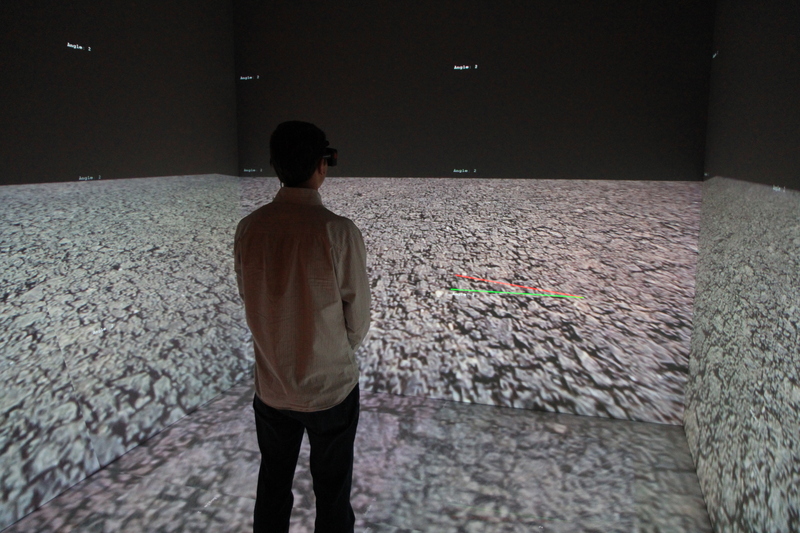 The Veldt was created to be an immersive, rugged and reconfigurable training environment for the U.S. Army unmounted soldier. SynthNav is a second LVC training project, continuing funding from the Veldt project. On the Multiview3D subproject Brice works with a multidisciplinary team developing and implementing cognitive studies in clustered graphics environments related to stereo vision. 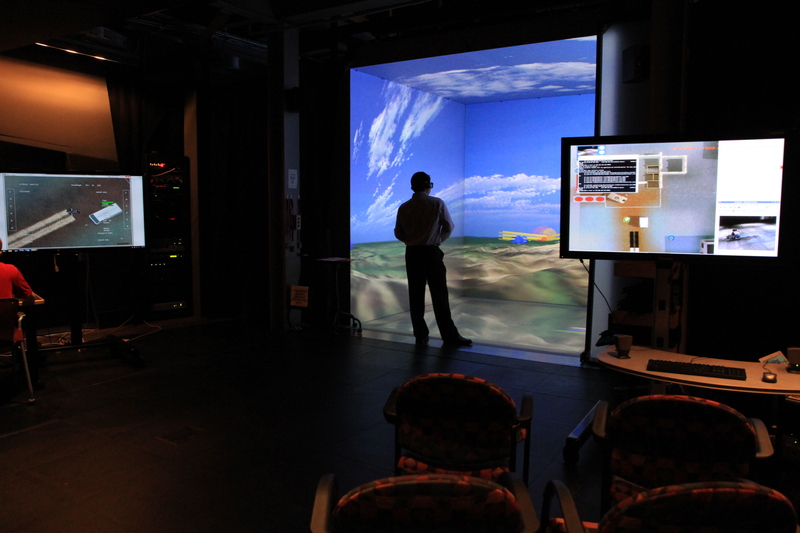 The Virtual Battlespace interface simulates the ability for one person has the ability to control multiple UAVs in an immersive virtual environment. Brice’s work on this project involved integration of Battlespace, the Veldt above, and teleoperated robots for inter-service scenarios.